Lay down the optimal stone pathways to the central basket, maximizing green space and direct access to pathways. This way, the Meadowkin can quickly harvest Glitterberries. Win by having the most green spaces next to a pathway leading to the basket. Subscribers get three versions, our beautiful cardboard version, and two computer versions. 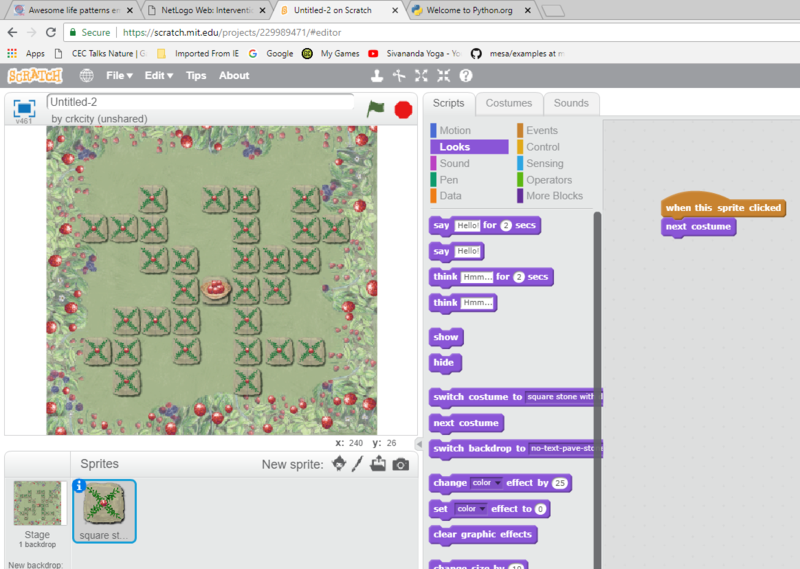 Our computer versions in Scratch allows you to arrange the stones, and automatically counts the green spaces next to the pathway. The NetLogo version shows optimal and suboptimal pathways. You also can use the cardboard and computer Path games to learn pattern oriented math with our Meadowkin Math movies: Math as Pattern and Double Trouble.